Despite the apparent lack of any cultural and religious connection between Kierkegaard and Iqbal, their philosophical and religious concerns and their methods of dealing with these concerns show certain parallels. This book provides a Kierkegaardian reading of Muhammad Iqbal’s idea of becoming a genuine Muslim. It reflects on the parallels between the philosophical approaches of Kierkegaard and Iqbal, and argues that, though there are certain parallels between their approaches, there is a significant difference between their philosophical stances. Kierkegaard was concerned with developing an existential dialectics; Iqbal, however, focused mostly on the identification of the problems of the modern Muslim world. As a result, Iqbal’s idea of becoming a genuine Muslim – the practical aspect of his thought and one of the most central issues of his philosophy – seems to be unclear and even contradictory at points. 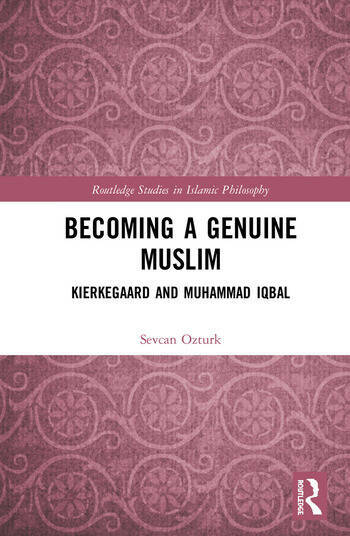 This book therefore uses the parallels between the two philosophers' endeavours and the notions developed by Kierkegaard to provide a strong hermeneutical tool for clarifying where the significance of Iqbal’s idea of becoming a Muslim lies. By bringing together two philosophers from different cultural, traditional and religious backgrounds, this book will appeal to students and scholars of Comparative Politics, Contemporary Islamic Philosophy and the Philosophy of Religion. Sevcan Ozturk is a faculty member of the department of Philosophy and Religious Studies at the Social Sciences University of Ankara, Turkey.